Kerala Startup Mission (KSUM) is certainly on a focused mission! Being the State’s nodal agency for development of Technology Startup Ecosystem, KSUM has responsibly set up a large Technology Innovation Zone (TIZ) at Kalamassery in Kochi. Spread over 13.2 acres, this Innovation Zone houses incubators, accelerators, Centers of Excellence in emerging technologies and can provide high-quality infrastructure for the development and growth of startups. This facility, once fully developed into a full-fledged campus is expected to have over half a million sq. ft built-up area, and would become the largest Work-Live-Play space exclusively dedicated to startups in the country. 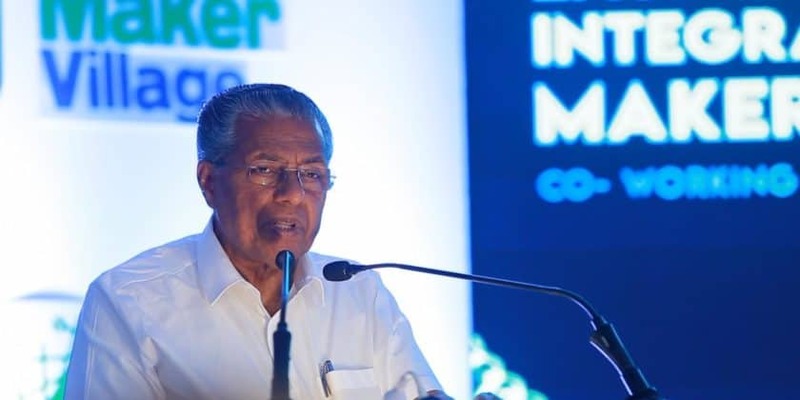 On January 13th, the Hon’ble Chief Minister Pinarayi Vijayan dedicated the Integrated Startup Complex by opening the first large building in the campus. This office plaza building with 1.80 Lakh sq. ft space will house the Maker Village, BRINC – the country’s first international accelerator for Hardware startups, BRIC – and incubator dedicated for developing solutions for Cancer diagnosis and care and Centers of Excellence set up by industry majors like UNITY, IBM, Cera, Tejas, Altair and many more. This reportage, thus, is going to explore what Kerala has to offer to its budding and growing startup community, which in turn would grow to reflect India’s Make in India program a success. 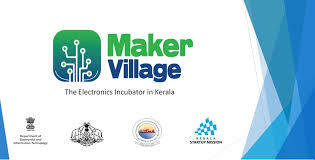 The Electronic System Design and Manufacturing (ESDM) facility and Hardware Incubator, christened as Maker Village is an innovative joint initiative of Ministry of Electronics and Information Technology, Government of India, and Government of Kerala. The facility is set up at the Kerala Technology Innovation Zone, KINFRA Hi-Tech Park, Kalamassery Kochi. With 65 hardware Startup companies from across the country developing exciting products in cutting edge technologies, Maker Village is by far the largest Electronic Hardware incubator in the country. Within a very short span since its inception, Maker Village has made significant strides in the startup landscape of the country with its strong network of associations with industries, ESDM facilities, academic institutions, and R&D institutes. 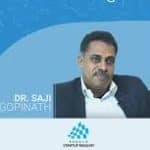 It is quite significant to note that a total of 25 (both National and International) patents are filed by 14 companies form Maker Village and another 8 companies are in the process of filing patents in the next 2 months’ time, making Maker Village a unique innovation zone of patents in the country. The success is also evident by seventeen startups from Maker Village able to generate their first Purchase Orders and their ability to place their products in the market. The cumulative startup in companies of Maker Village during the last year is about INR 16.0 Cr, which is channelized through various sources and size of investment is expected to increase manifold during the ensuing financial year. The startup companies of Maker Village work in divergent areas viz., Automation, Robotics, Drones, Internet of Things, Autonomous Vehicles, Bio-Medical Instrumentation, Energy Management etc., while anchoring on cutting edge technologies – Machine Learning, Artificial Intelligence, Augmented Reality/Virtual Reality etc. As a socially responsible entity, which ignites ‘Passion for Technology along with Compassion for Community’, Maker Village wants to put its endeavors to derive solutions that can address immediate challenges in the neighborhood. In the context of the unprecedented flood and disaster witnessed recently by the State of Kerala, Maker Village has identified and fine-tuned about twenty hi-tech products, which have got a direct application in a situation of disaster and would add tremendous value in configuring disaster management and mitigation strategies. Now to create a robust and sustainable hardware ecosystem for prototyping, product design, and development, Maker Village has formed a collaborative platform to share talent, ideas, technology, equipment, and services. As part of this initiative, Centers of Excellence (CoE) enabling hardware product development by top global technology solution providers are instituted at Maker Village. It is expected that such collaborations with global players would help the hardware ecosystem to mature faster and would address many of the pain points typical of hardware startups. At the inauguration held on Jan 13th, Tejas Networks signed a Memorandum of Understanding with Government of Kerala as its first telecom knowledge partner and established its Center of Excellence (CoE) for next-generation telecom technologies in the state. The CoE is being set up in the new Integrated Startup Complex in Kochi. Tejas CoE will focus on training, skills development and mentoring of college students, young entrepreneurs and high-potential electronics startups in the state. Senior technologists from Tejas will work closely with the faculty of leading engineering institutions in the state to develop a futuristic, industry-oriented telecommunication training and certification program. As part of the partnership, Tejas Networks also proposes to set up an advanced networking test-bed for cutting-edge technologies such as terabit-scale optical communications, gigabit-scale broadband access, 5G, and software-defined networking. Maker Village and Altair have established the CoE to support startups and innovators design world-class products using the best of computer-aided simulation and engineering. Altair has immense expertise in simulation-driven innovation that can reduce production cost and lead the time for quick product development. The CoE is located at the Kerala Technology Innovation Zone and will have a team of experts in mechanical and electronic design working with startups at Maker Village and training them in the aspects of design for manufacturing, ergonomics and signal integrity. This is also believed to give an impetus to the hardware development process to adhere to international standards in the ecosystem in Kerala. The center would also cater to the needs of medium- and small-scale enterprises in the state and bring them to the forefront of innovation. “Altair’s facility is a perfect enabler for hardware startups, which can use the manufacturing facility at Maker Village in conjunction with the software of Altair to optimize and transform design and decision making by applying simulation, machine learning and optimization throughout product life cycles. 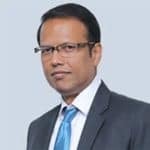 At Altair, we have taken the responsibility to handhold the startups incubated in this facility to accelerate their solutions in a cost-effective manner,” said K P Ajith, Technical Head at Altair. 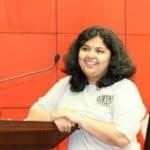 Kerala Startup Mission has partnered with Unity Technologies to launch a Centre of Excellence for AR/VR and gaming. Through this CoE, Unity will extend support to startups developing products, services, and games on platforms including mobile, PC, and various AR/VR hardware. This CoE will also have a special focus on providing different levels of training on AR/VR developer tools to students and professionals in the State. In line with the Knowledge City initiative of Government of Kerala, KSUM has a special emphasis in promoting startups working in various emerging technologies like AI, Cyber Security, AR/VR etc. Over the past one-year KSUM has touched bases with more than one hundred startups in these emerging technologies and has provided these startups with various support mechanisms including technology access through Future Technologies Lab, Innovation Grants, seed loans, exposure programs, and market connects. Future Technologies Lab also runs evangelization drives across the State to attract more professionals and students to take up research, learning and development programs in these newer technologies. To edge its competing states, Kerala’s Startup Ecosystem set to score high with world-class infrastructure 0 out of 5 based on 0 ratings. 0 user reviews.